The 12. of May 2011. 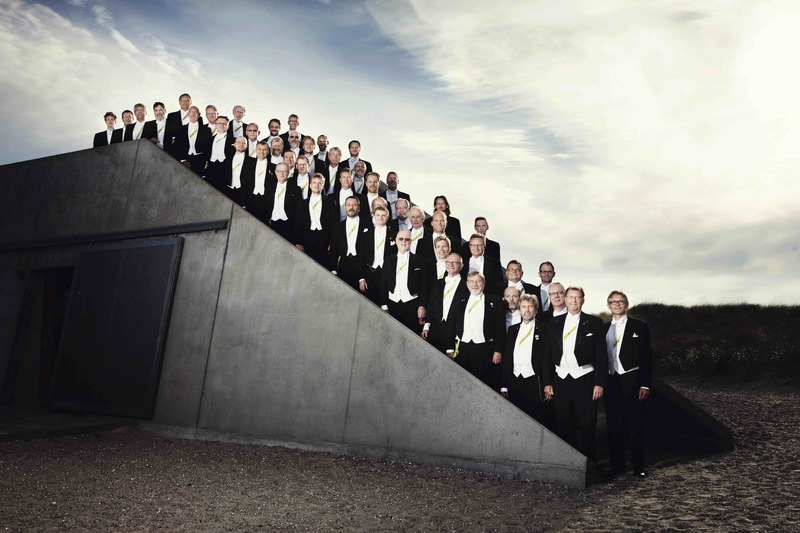 This is the front page of Tórshavn Male Choir's homepage. Here you can find information about the choir in writing or as pictures and recordings. You are also welcome to comment in our visitors' book. 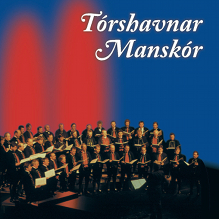 Tórshavn Male Voice Choir published its first CD in 1997. 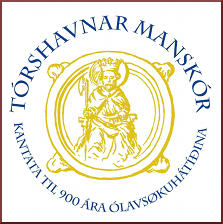 It's called »Tórshavnar Manskór« - or »Tórshavn Male Choir«. There are some powerful songs including »Føroyar mítt land« and »Ódn«. 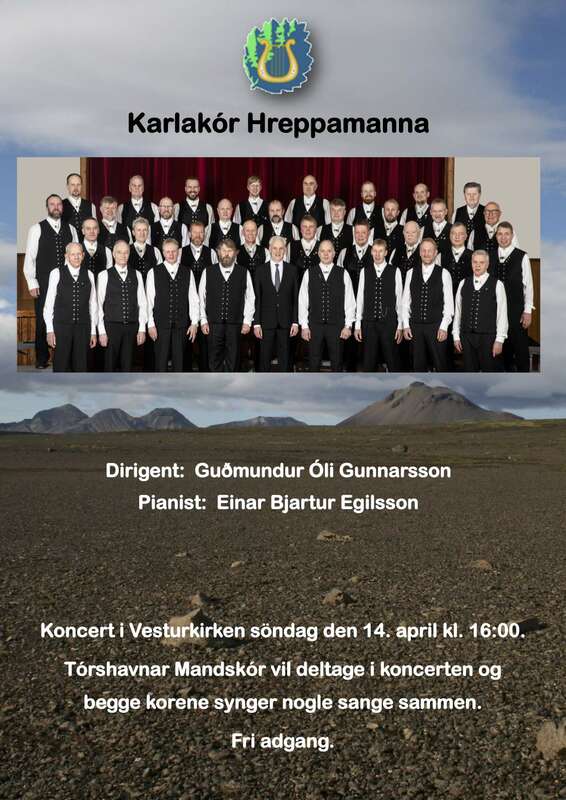 There is also the old Faroese hymn »Som den gyldne sol frembryder« which Jákup Dahl translated into Faroese and which Heri Eysturlíð arranged for male choir. There are also some songs in different tongues - e.g. in Icelandic and English. This is the front page of the cover. Click on the picture if you want to see the cover - and be patient because it can take a moment or two. The choir's second CD was released in 1999. It's called »Vit eru føroyingar« - or »We are Faroese«. 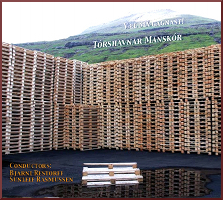 The title has its origin in the first line of the ironic poem »Kvæði fremsta framtakskappa landsins« - lyrics by Regin Dahl and music by Kári Bæk - and is about being a Faroese of culture. On this CD there are several songs from a competition which the choir held in 1996. The competition was about getting new compositions for male choir. 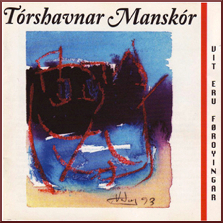 There are also some songs in Danish and Icelandic, and the last song on this CD is the national anthem in its original arrangement as composed by Peter Alberg - also known as Peter í Geil. The choir's third CD was released in 2008. It's called »Væl má gagnast« - or »May it do you good« which is the last line in the amusing song »Matlepin« - or »The menu« by Nyholm Debes. Furthermore this CD is the first to be produced as a surround CD which means that the listener is surrounded by sound as in a concert auditorium. There are three types of sound: 1) Super Audio 5.1 surround, 2) Super Audio Stereo, and 3) regular Stereo. 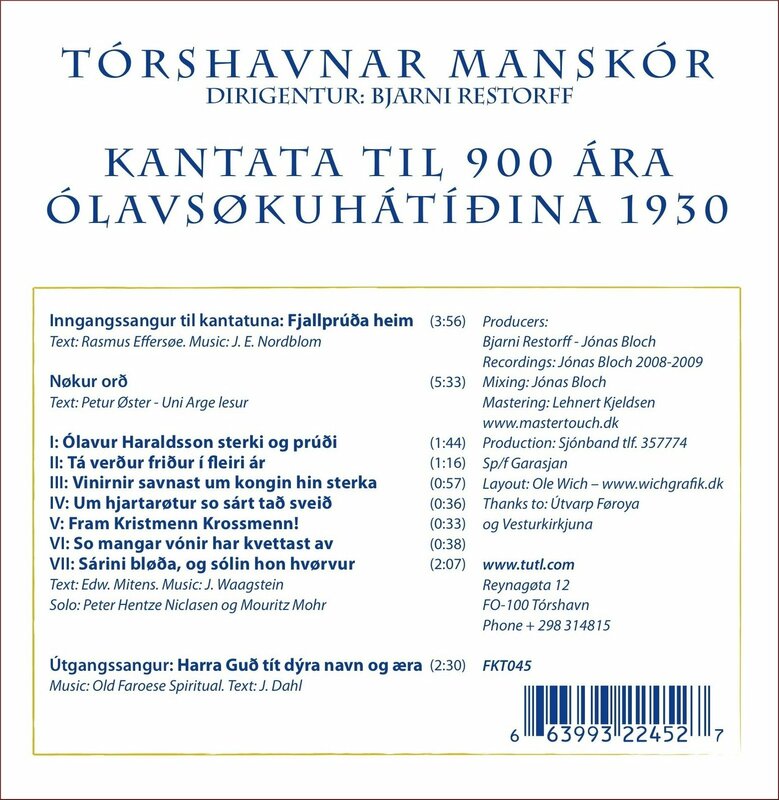 Songs from Bulgaria, Denmark, Iceland and USA are on this CD, and also some good soloists: Andrias Reinert, Peter H. Niclasen, Fróði D. Sandoy, Birgir Krossteig and others. The choir's fourth CD was released in 2009. It's called »Kantata til 900 ára ólavsøkuhátíðina« - a cantata composed by Edw. Mitens and J. Waagstein in 1930 to remember the Norwegian king Ólav Haraldsson who died in 1030. It was performed on 29th of July which is the Faroese national day. All seven parts of the cantata are on the CD as well as the introductory and concluding hymns »Fjallprúða heim« and »Harra Guð títt dýra navn og æra«. Peter H. Niclasen and Mouritz Mohr are soloists. If you have a private arrangement of some kind - e.g. a birthday - you can ask for the choir to sing on this occasion. You can have a group of 12-16 singers or 30-35 singers. A number between 2-8 songs will be sung. NB! We are not able to do this during office hours.